Wafer Check Valve are useful in several different types of devices. They stop flooding in water-related devices, such as sump pumps and water heaters. They also protect equipment that can be harmed by the reverse flow of material, such as control valves, strainers, and flow meters. In addition, check valves can stop material from constantly flowing backwards when a device is off, which can save power and protect the parts of the device. 1 Turn off and disconnect the power source to the pump before attempting to do anything with it to avoid electrical shock. 2 Remove the old Piston Check Valve from the intake if you are replacing it. 3 Check the manual of the pump if you still have it, or the specifications for your make and model online. These sources will specify the inlet connection size. 4 Measure the inlet pipe or the outlet of the old check valve across the widest point to get the diameter if you cannot locate the specification. 5 Write the measurement down and keep it with you so you have a reference when shopping for the new check valve. 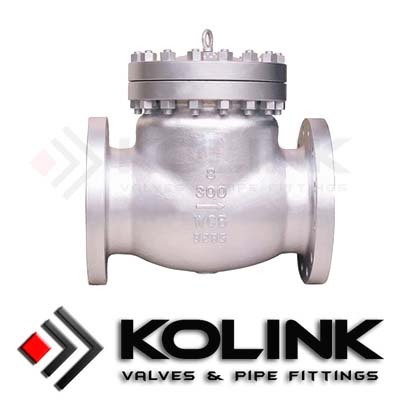 If you want to know more,please enter the following link:Forged Steel Check Valve.